Spam emails have never been a hindrance to businesses those days. However, the cyber thieves are now implementing sophisticated threats and are used to steal sensitive and confidential business information. Hackers design attractive yet malicious emails to trick the users to open the emails and click on the malicious link or attachment and therefore get directed to a malicious website. This can infect your computer and helps the hackers to gain access to the confidential information from the infected device. The malware can also develop the potential to spread and infect the computer network. It is time-consuming for employees to pause and check each and every mail and hence leads to loss of productivity. It is also important to note that, employees may tend to miss out on any of the important emails with the number of emails coming in at the same time. This certainly demands an effective anti-spam solution to avoid a data breach. 1. Block spam emails – The main objective of any anti-spam tool is to block threats by instantly removing them or moving them to a secure place. This would benefit the organization to stay away from spam associated security risks. 2. Filter Genuine emails – Business related emails often tend to get buried amidst the spam emails. An effective anti-spam tool deploys advanced techniques and methods to recognize and differentiate the spam from the genuine emails. This permits the genuine mails to reach the intended recipient in a safe and secure manner, keeping the spam emails at bay. 3. Assures Data regulations – Organizations enforce strict policies and regulations on privacy and data storage. 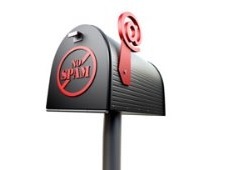 Spam filters work best to adhere to data regulations so as to mitigate risks pertaining to data breaches. 4. Maintains business reputation – It is a state of embarrassment for the organization when looked upon by its stakeholders at the press conferences to confess a security data breach. A data breach may result in loss of financial data and even the customers’ personal data. Therefore to enhance productivity, an antispam solution should be in place to filter out spam emails while it helps the organization to stay ahead of threats and hence plays a main role in maintaining a good business reputation. Comodo Dome Antispam is one such robust threat prevention anti-spam tool that features efficient antivirus scanners, anti-spam filters, and content analysis systems to filter out unauthorized emails from entering the enterprise network.